The needs – from basic to emergency – of personnel and the general public are central in our people care solutions. This can mean something relatively simple, like a temporary canteen. 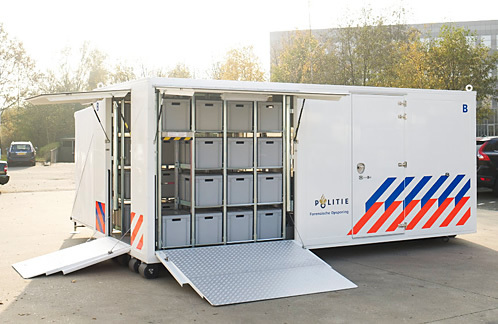 But it can also be considerably more sophisticated, for example a police mobile command unit with air conditioning, lighting, communications and working facilities for up to 6 people. 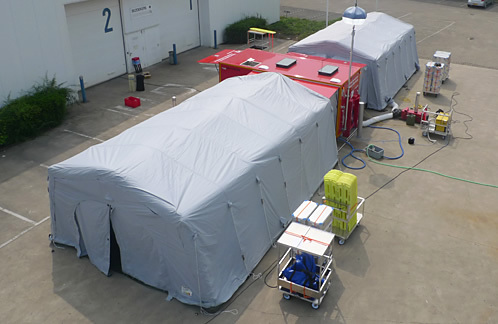 We even produce a mass decontamination unit for treating upwards of 50 people an hour who have been affected by chemical, biological, radioactive or nuclear exposure. Durability and reliability are absolutely essential. A unit like this will hopefully be stored, unused, for many years – but when required it has to work immediately and effectively; lives could depend on it.